Let’s be honest. With a show of hands, when we say strategic sourcing, how many of you think this concept is really just about buying at the cheapest price? While engineers and brand managers get most of the credit for successful new product development and commercialization of product launches, the unsung hero is often the team who wears the strategic sourcing hat. In our experience, we've found that a world-class sourcing team must consider no fewer than 6 critical factors to deem their work successful. Clearly, costs matter and need to be in line with the product offering, as well as with the pricing of your competitors. When the Pentagon was discovered buying hammers for $400, US taxpayers went crazy – and rightfully so! That is the opposite of strategic sourcing at work. 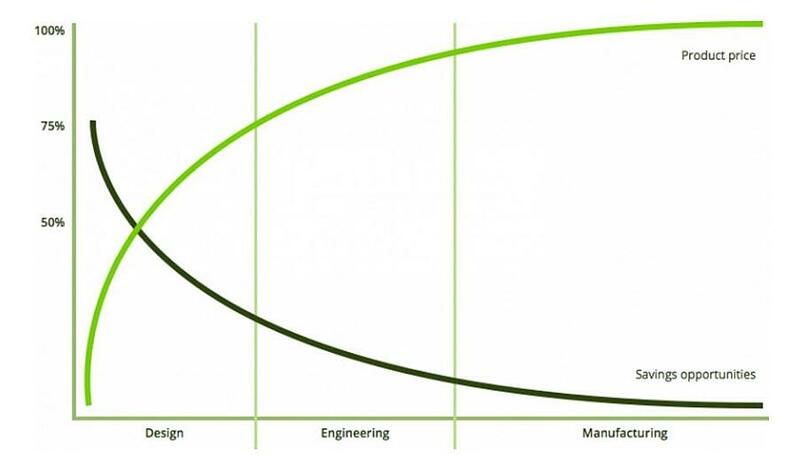 As you can see in the below graph – courtesy of deltabid.com – savings opportunities dwindle the more a product advances in its lifecycle, with design being the largest area of opportunity to cut costs. In fact, a staggering 90 percent of end product costs are decided during the design and engineering phase, according to deltabid. 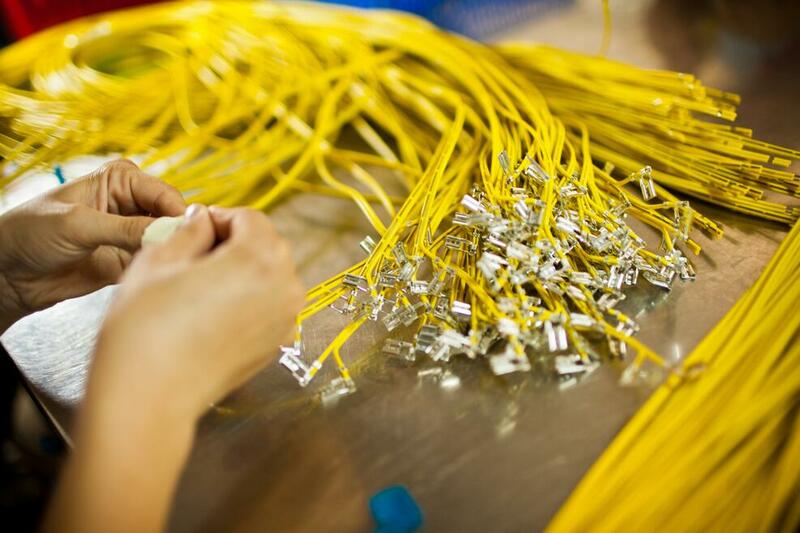 As you move into full production, your cost savings opportunities plunge even further. This is one reason it's crucial to have a strong sourcing team assembled and focused at the start of a project. Strategic sourcing aims to achieve overall cost reductions while maintaining or, ideally, improving quality simultaneously. How, you ask? A few options exist at various stages of the sourcing and component management process. You might turn to volume price breaks or rebates to ensure you're sourcing quality product that's also in alignment with customer needs and base profit margins. Or your approach could be a well developed inventory turns strategy that keeps counts lean, freeing up cash flow and time to focus on quality issues and expenses. Finding that sweet spot between affordability and quality is the trick. Resist the tunnel vision! Try to see beyond the item at hand to the big-picture, total category spend. Are your sourcing tactics and decisions in alignment with your company's goals and overall growth strategy? Are you throwing resources at the right focus areas? Seek out opportunities to reduce costs and improve value, and jump on those opportunities that are conducive to growth in the desired categories. Some buyers prefer to work with transactional vendors in a hands-off, keep-to-yourself sort of manner. A one-and-done, if you will. A world-class sourcing team should be seeking out long-term relationships. An alignment of goals between OEMs and contract manufacturing partners creates synergy, efficiency and (hopefully) multi-years contracts! Additionally, standardizing internal processes within the partnership leads to even greater efficiencies. We're talking about tunnel vision once again! Beyond components and product categories lie opportunities for the sourcing team to make waves – in a positive way. This could include the chance to streamline suppliers (and the cost to manage multiple suppliers across multiple lines), improve cost consistency and ultimately drive down purchase price by securing better total pricing for large or blanket purchase orders. This is what we call good, old fashioned economies of scale! Discuss these options with your vendor partners. This is an overused buzzword most of the time, but larger organizations with a hefty spend benefit from a team of sourcing managers (or global sourcing and supply chain directors) who meet regularly to share what's been working – and what hasn't been. Moving beyond who gets the credit can eventually save the organization a significant amount of money. It's important to share these insights not only with your sourcing team, but also with the partners you're working alongside. Operating as a united front and working toward a common goal (low-cost, high-quality product that meets the customer's every need) will prove mutually beneficial in the long run.